Three leading North East-based business leaders will reveal how their digital transformation has been instrumental in growing their companies at a unique event in Darlington organised by Square One Law. The Bannatyne Group, Frank’s the Flooring Store and Dyer Engineering have all embraced change and taken the journey from traditional analogue working to advanced digital processes. The move has resulted in growth, increased profits and the future proofing of their businesses. Taking place on May 14 at the Centre for Process Innovation, the Digital Transformation event will hear from Bannatyne Group CEO, Justin Musgrove, Dyer Engineering Managing Director, Graeme Parkins and Jason Maguire, Director of CreateCity, which operates Frank’s the Flooring Store. Founded by Dragons’ Den star Duncan Bannatyne OBE, Darlington-based Bannatyne Group is a major national leisure operator with 72 health clubs, 47 spas and four hotels across the country. 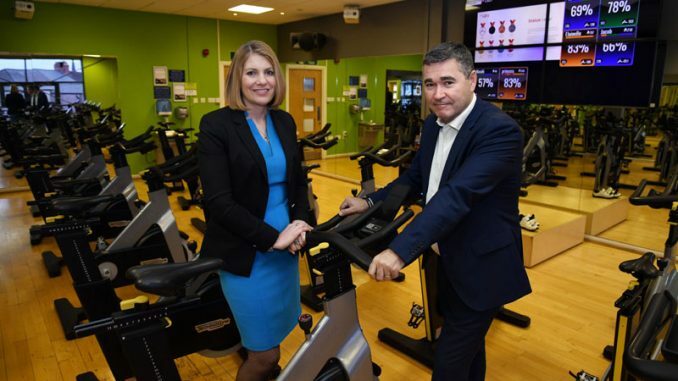 Its health club division has more than 210,000 members and its Chief Executive, Justin Musgrove, has led on the transformation of the business’ approach to utilising digital technology, both online and in its facilities, to enhance the member experience and increase sales. County Durham-based Dyer Engineering is leading the way in digital manufacturing after recently becoming the UK Digital Catapult’s first Connected Factory Demonstrator. Managing Director Graeme Parkins will explain why the demonstrator is part of the development of the fourth industrial revolution and its purpose to explore how digital technologies can improve operations, productivity and efficiency and secure the future of the UK’s manufacturing and engineering sectors. Frank’s the Flooring Store is one of the North East’s most iconic retail businesses and is part of a group of businesses, which have evolved dramatically to embrace digital technology to expand its operations alongside its store network, which is extending beyond this region. CreateCity Director Jason Maguire will talk about his business journey into the world of digital retail and beyond. Guests at the lunchtime event will also hear from Square One Law’s Commercial Partner Helen Brain, a tech-law specialist. The digital transformation process inevitably requires the business to revisit how it stores, uses and shares data. Helen will discuss the legal implications of the use of data in a digital world including data security, protection of confidential information and the use of personal data. Gill Hall, managing partner at Square One Law, said: “This is a unique opportunity to hear from three high-profile business people about how they have embraced digital technology and what other companies can learn from their experiences. “All of these businesses, like so many in the North East, come from an analogue background and often firms can’t see how going digital will benefit them beyond having a presence online. Digital Transformation – Learn From Three Leading Business Who Have Been There and Done It, takes place on May 14, between 12 and 2pm at Centre for Process Innovation, Darlington. To book a place at the event click here. • Pictured above: Square One Law Managing Partner Gill Hall (left) and Bannatyne Group CEO Justin Musgrove (right).